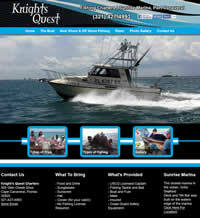 Enjoy deep sea and charter fishing in central Florida. Conveniently located in Port Canaveral, just minutes from the ocean, gets you out to the fishing grounds and fishing in just minutes. Deep sea fishing is a great way to have family fun in Central Florida!